Imagine you are a property owner. One day, you decide you want to use your land to develop a sand and gravel operation. You do your research, and you find out that your property is smack in the middle of a floodplain the county has designated. So the local authorities turn down your request for that sand and gravel operation. What do you do? You sue, arguing that the designation is causing you financial harm. In fact, the Colorado Supreme Court sided with La Plata County in this very case in 2001. Now, 17 years later, a constitutional amendment that appears on the ballot this November seeks to significantly strengthen a property owner’s rights in the event of a loss based on a government rule or regulation. It would also ease access to financial compensation in such cases. Critics argue that, if passed, the measure would lead to a flood of lawsuits that could bankrupt smaller and less affluent municipalities or have a chilling effect on proposing regulations in the first place. The proposed amendment, which is backed by the oil and gas industry, is the latest salvo in the ongoing turf war between municipalities seeking local control to protect the safety and health of their communities and powerful industries and individuals alike seeking to benefit from the extraction of resources close to those communities. The Colorado Farm Bureau, a nearly 25,000-member-strong organization that represents the state’s farmers and ranchers as well as a variety of agriculture industry-related players, teamed up with the monetary muscle from the oil and gas sector and brought forward the initiative. The Bureau has also taken on the PR campaign to persuade voters, and it hails the measure as a leveling of the playing field, allowing individuals to seek compensation for what legalese refers to as a “regulatory taking” — the impact of a government action on their property value. While the proposed amendment does not specify which kinds of private property would be affected and leaves such interpretations up to the courts, among the examples will most certainly be mineral and water rights as well as oil and gas resources. What does the law say right now? 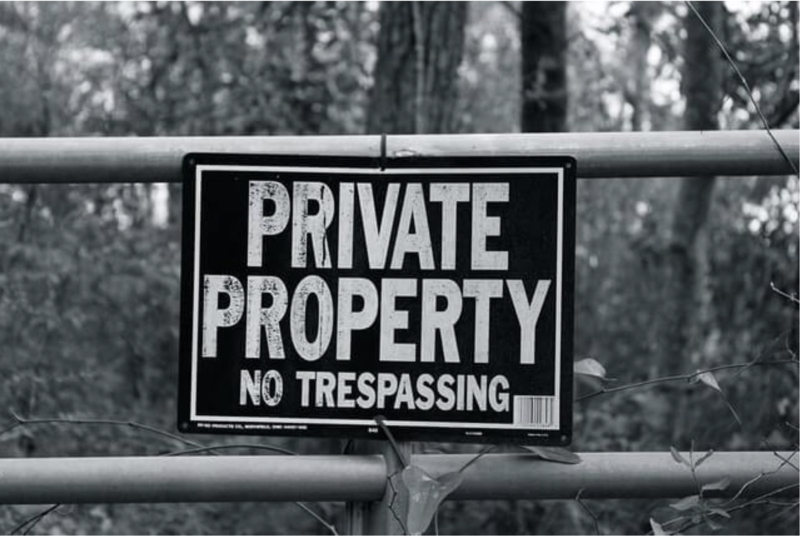 Before diving deeper into the pros and cons of Amendment 74’s potential effects, a brief overview of existing property rights law — as provided by Pidot, a former deputy solicitor for land resources for the Department of the Interior during the Obama administration — serves as helpful guidance to understand the contradicting arguments swirling around the measure. Basically, there are a couple of different situations in which property rights law comes into play. First: In what’s called a “physical appropriation of property,” the government simply seizes an individual’s property for public use. In this case, current state law mandates the government to pay the owner based on the property’s fair market value. But it is the second area of this type of law that cuts to the core of Amendment 74. When lawyers speak of a “regulatory taking,” the government has enacted some sort of rule or regulation that negatively affected someone’s property value. And in these cases, rarely does the owner actually get compensated monetarily. Pidot explained that the courts developed a standard in which they look at existing research showing that government regulations as a whole have positive and negative impacts on property values and overall creating a healthy balance. Cherry-picking one “bad” regulation would throw the whole system out of balance, Pidot said. But for farmer Arnusch, talk of a steady tide of regulations lifting all boats doesn’t count. He is staunchly opposed to governments taking away value from land in the first place. Arnusch illustrated his point with a hypothetical scenario. And for that loss, the inability to reap maximum value from his land, Arnusch argued, he should be compensated. Who’s to blame: zealous bureaucrats or faceless corporations? Critics of Amendment 74 point out that other states have tried similar laws. Comparable efforts in Florida led municipalities – afraid of a flood of compensation claims – to severely dial back much of their regulatory prowess. Oregon voters in 2004 approved a similar amendment to the state’s constitution. Three years later, after angry property owners filed over 7000 claims totaling nearly $20 billion and local governments had to pay out $4.5 billion, voters amended the state constitution again, effectively retruning the bar for takings’ claims back to where it was before 2004. And neither of these two states crafted as broad an amendment as the one the Farm Bureau and their allies in the oil and gas sector are now proposing, said Colorado Municipal League Executive Director Sam Mamet, a critic of the measure. Whether it is a liquor or marijuana license, street improvements or affordable housing, Mamet said local governments could come to a screeching halt because their prime worry would have to be about an individual or industry group depleting city coffers with a regulatory takings claim. It is Mamet’s latter point that rings the alarm bells for Aurora City Councilwoman Nicole Johnston. Councilwoman Johnston has a specific worry: that behind the farmers stands a mighty phalanx of oil and gas industry lawyers, just waiting to take down City Halls across Colorado that dare to wield local control to limit development of resources within their boundaries. A brief flashback: In 2016, the Colorado Supreme Court ruled that municipalities do not have the power to impose fracking bans — as for example the cities of Fort Collins and Longmont did — but that it is up to the state to regulate such drilling. Various municipalities have continued to try to impose limits since. Enter Proposition 112. Also on the ballot this fall, this measure asks Coloradans to enforce a 2,500-foot buffer zone between new oil and gas drilling operations and any occupied structure a municipality deems vulnerable. Eric Sondermann, an independent political analyst in the state, called Amendment 74 “a bit of an insurance policy” for oil and gas and related agricultural groups against Proposition 112. It comes as little surprise, then, that campaign finance filings show a multi-million dollar effort spearheaded by an oil and gas interest group called Protect Colorado to support the Farm Bureau. The issue committee invested more than $4 million into the signature-gathering process and has also spent money on pro-industry television ads. The result: The Farm Bureau earlier this year dropped a record 209,000 signatures on the Secretary of State’s desk, more than twice what was needed — which made Amendment 74 only the second such ballot measure since voters in 2016 approved an amendment that placed much stricter laws governing the signature-gathering process. Back then, the oil and gas industry and its allies contributed more than $3 million to proponents of that amendment — known as Raise the Bar — hoping that a higher bar for efforts to change the constitution would shield them from at least some citizen initiatives seeking to reign in drilling in the state. Despite its substantial monetary support for Amendment 74 this year, Protect Colorado representatives were tight-lipped about the amendment, referring most questions about it to the Farm Bureau, and saying only that it is “a fair measure” for which they helped gather signatures. The fight over what rights property owners should have not only encompasses the PR arena, though. Court documents show that opponents of the amendment mounted a legal challenge, against it, saying the amendment was overly broad and violated the single subject rule for such measures. But the bid ultimately failed. The lawyer the Farm Bureau hired to defend its position was Jason Dunn, a Republican who works for Denver-based political power player firm Brownstein Hyatt Farber Schreck — and President Donald Trump’s nominee to become the next U.S. attorney for the state of Colorado. Dunn was also involved in finalizing the language of the proposed amendment. The same court documents name Michelle Smith as a co-respondent beside the Farm Bureau’s executive vice president, Chad Vorthmann. Smith is an oil and gas operative with more than 35 years in the industry under her belt who has worked for organizations including the Colorado Chapter of the National Association of Royalty Owners as well as Denver-based Davis Oil Company and Anderman Oil Company. In 2015, the Denver Business Journal selected her to its “Top Women in Energy” class. Smith is an outspoken property rights advocate and a mineral rights owner herself. Asked if Amendment 74 was in any way related to the proposed drilling setback measure, she said: “Not related, but property rights are property rights.” Smith then added that it would “only make sense” for a mineral owner to bring forward a case if you took away his or her right to drill. Such drastic language didn’t go unnoticed in the Capitol, either. Gov. John Hickenlooper’s office made what one of his advisors, speaking on the condition of anonymity, told The Colorado Independent were “a handful of calls” to see if a truce could be brokered and both measures would be withdrawn. The effort ultimately failed, and the mandated deadline to do so has since passed. The governor’s office declined to publicly comment on the issue. And so it will be up to Colorado voters this fall to decide the fate of Amendment 74 in this newest edition of property rights v. local control. Given the new Raise the Bar requirement that a constitutional amendment needs to gather at least 55 percent instead of a simple majority of yes votes, the measure still has a steep climb ahead, independent analyst Sondermann said. But the war for the interpretative prerogative is well under way. The Farm Bureau’s Vice President of Advocacy, Shawn Martini, cautioned against castigating the amendment in apocalyptical terms when really, he said, there was no reason to believe the courts would severely alter the historically narrow view they have taken when it comes to regulatory takings. DU law professor Pidot is having none of that no-big-deal argument. More than three years after water began seeping into Gilcrest and surrounding residents’ basements — the result of record high groundwater levels — the problem is spreading, impacting new homes. Joanne Maes, a former Gilcrest town trustee, is one such resident. She doesn’t have more than a dozen sump pumps installed in her basement like a resident in 2014. She has one, and she and her husband did the work themselves, spending about $1,000 on materials. Maes first noticed the problem a month ago. After 12 hours of continuous shop vac use, the family installed a sump pump, which runs automatically as water seeps in. Every 20 minutes or so, a PVC pipe in the backyard of Maes’ 12th Street house gurgles out water. The same is true for a number of homes in Gilcrest, and Maes led the way around the quiet Weld County town Tuesday, pointing out more PVC pipes, connected to more sump pumps, dotting the front yards of more residents. An extra green patch of grass is another tell-tale sign. Maes and her neighbors now, as residents did in 2014, blame the fact that farmers aren’t allowed to pump groundwater to water crops. She even testified before the Colorado Water Conservation Board, along with others from the area a couple weeks ago. Residents here have largely given up hope anything will be done. And so, the sump pumps drone on, the water gurgles out of PVC pipes and residents hope things don’t get any worse. Randy Ray was “pumped” after voters of the Central Colorado Water Conservancy District overwhelmingly approved a pair of water measures he says will “significantly” help farmers. With votes cast by about 87 percent of Weld County’s eligible, active voters, 66.25 percent of those who live in Central’s boundaries had checked “yes” on Measure 4A. Measure 4A approves a $60 million bond issue to pay for three of Central’s endeavors. “This is so huge for us,” said Ray, executive director of Central. Central, based in Greeley, is one of 15 water providers looking to take part in the proposed Chatfield Reservoir Reallocation Project, a $184 million undertaking that would provide an additional 2,849 acre­feet of water to some of Central’s users. 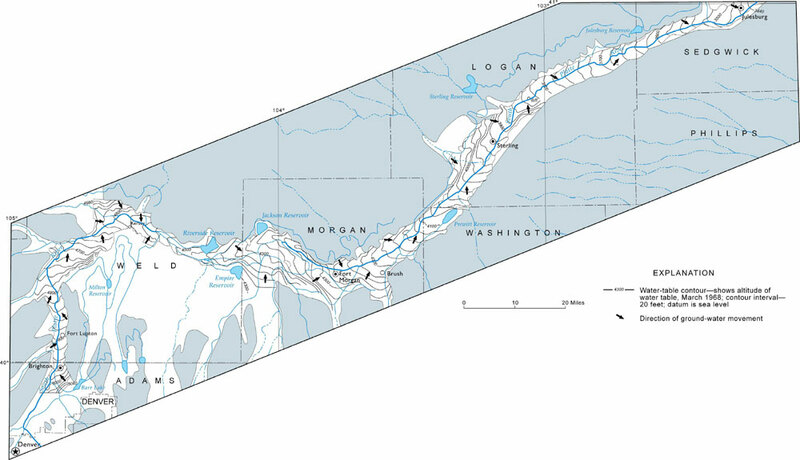 Central Water officials also are considering the construction of gravel pits for an additional 8,000­9,000 acre­feet of storage, and buying 1,000 acre­feet of senior water rights with the bonds. Taxpayers within Central Water’s boundaries will now pay an additional $1.13 each month per $100,000 in property value for the next 25 years, Central officials estimate. About 65 percent of Central voters approved Measure 4B, which allows Central’s Groundwater Management Sub­district to accept state and federal grant funding to construct projects. Central’s district is mostly in Weld County, but its boundaries also stretch into Adams and Morgan counties. Central voters in Morgan County supported 4A by a 25­16 margin, and 4B by a 17­6 margin. Numbers for Adams County alone on the issues were not available as of press time. Fall is always a hectic time of the year for Randy Knutson, but the LaSalle­area farmer has spent more time away from home during this harvesting season than probably any other. In addition to rounding up matured crops in his fields and also managing operations for Zabka Farms near Greeley, Knutson in recent weeks has been trekking across the area to convince fellow producers and other residents that approving a $60 million bond issue is in their best interest. ￼His long hours are well worth it, as far as he’s concerned. Without the bond issue and the water that would be purchased with the millions of dollars, harvests of future autumns could be minimal in Weld County, he says, with the local economy suffering as a result. Knutson and others are asking taxpayers of the Central Colorado Water Conservancy District to approve Measure 4A — the $60 million bond issue that would be used for more water storage and buying water rights. Central oversees two subdistricts that provide augmentation water to farmers in the LaSalle and Gilcrest areas and other parts of southern Weld County. 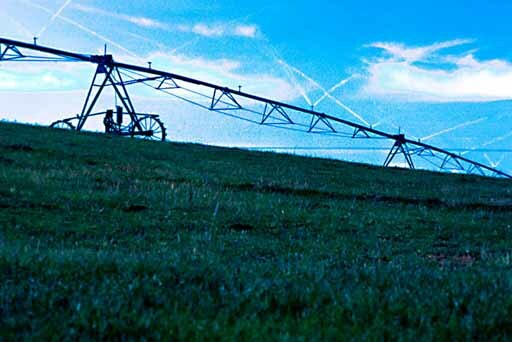 The two subdistricts — the Groundwater Management Subdistrict (GMS) and the Well Augmentation Subdistrict (WAS) — also stretch into Adams and Morgan counties. Augmentation water is needed to make up for depletions to the aquifer caused by pumping water out of the ground. All together, Central’s two subdistricts provide augmentation water for more than 100,000 acres of irrigated farmground, according to Randy Ray, executive director of the Central Colorado Water Conservancy District. 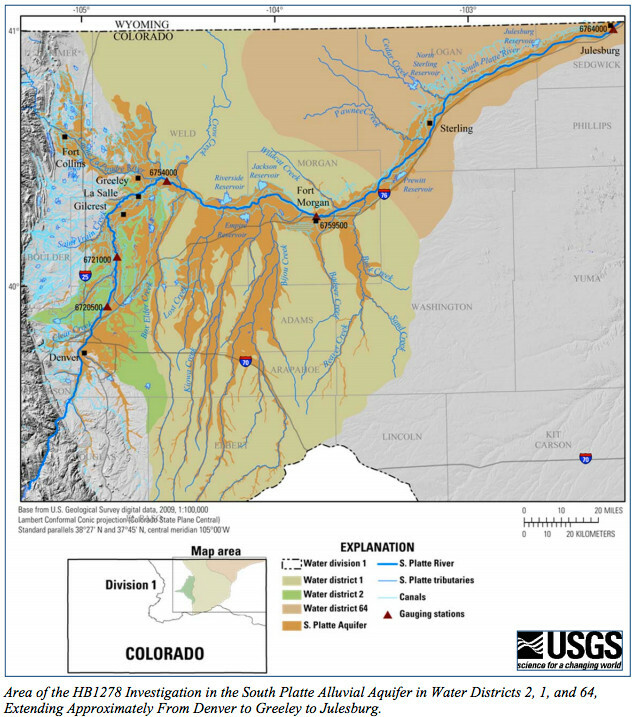 The additional augmentation water is needed since many of the wells in Central’s subdistricts were either curtailed or shut down back in 2006, when the state determined the pumping of those wells was depleting stream flows in the South Platte River Basin. As part of those decisions, the state made augmentation requirements more stringent. Many farmers haven’t been able to use their wells since then because they haven’t had the necessary amount of augmentation water to do so. Knutson, himself, has three wells he still can’t use. Those wells are needed in dry years like this one, when flows in the rivers are low, bringing little water to irrigation ditches, Knutson said. Also, Knutson said, cities in the region are growing rapidly and need more water, causing supplies to get tighter and more much expensive. For example, one unit of water from the Colorado­Big Thompson project, one of the largest water projects in the region that supplies supplemental water for municipal and agricultural uses all over northern Colorado, now costs about $10,000. It was only about $7,500 three years ago, according to Brian Werner, a spokesman for the Northern Colorado Water Conservancy District. “It’s only gong to get more expensive the longer we wait,” Knutson said. Knutson, Ray and others say the additional water and the bond measure are needed because Central Water relies heavily on leased water from cities to supply its farmers, and, as Front Range cities grow, those cities will lease out less water. The $60 million in bonds would pay for three of Central Water’s endeavors. The district is one of 15 water providers looking to take part in the proposed Chatfield Reservoir Reallocation Project, a $184 million undertaking that would raise the Denver­area lake by as much as 12 feet and provide an additional 2,849 acre­feet of water to Central Water. Central Water officials also are considering the construction of gravel pits for an additional 8,000­9,000 acre­feet of storage, and buying 1,000 acre­feet of senior water rights. If the bond measure is approved, taxpayers within Central Water’s boundaries would pay an additional $1.13 each month per $100,000 in property value for the next 25 years, Knutson said. The district recently sent out a survey to about 18,000 residents, which it said showed about 75 percent of respondents favored the bond issue. The district encompasses nearly 20,000 households. There’s no organized group opposing the project, but some have questioned why they need to pay additional taxes for water they couldn’t personally use. “To be completely honest, I still don’t know which way I’m going to vote,” said Dave Dechant, a Weld County farmer. Public meetings on the bond issue held this summer grew heated at times. In response to those residents, Ray said he hopes they’ll still support the project, since the additional water would go toward strengthening the local agriculture economy, which benefits the entire area. Ray said Central Water also might lease some of the water to residential or other users. Some who would benefit directly from the additional water also expressed frustration at the meetings because they’ve been paying taxes to the district for several years and have yet to see any additional water. Ray said those previous taxes have paid for the legal and engineering fees that have now given Central rights to 68,000 acre­feet of additional water. The $60 million bond issue would pay for the infrastructure to finally put some of those water rights to use, Ray explained. More 2012 Colorado November election coverage here. Where do the Presidential candidates stand on funding for infrastructure? 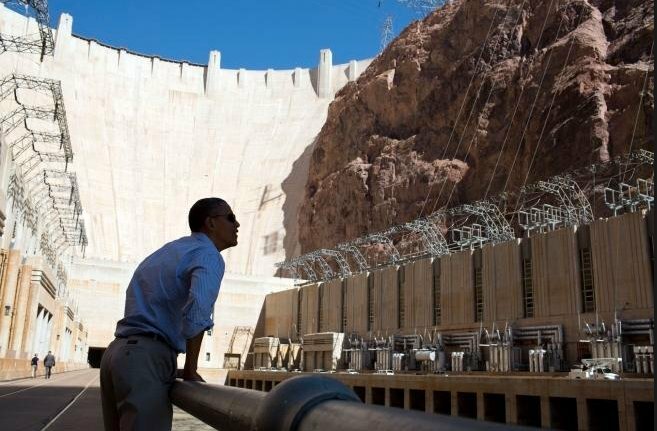 President Barack Obama has favored stimulus-style infrastructure spending plans, talking up highway, bridge and rail repairs as job creators, and pushed for innovations like high-speed rail and a national infrastructure bank to finance projects with the help of private capital. But Republican opposition to increased spending and taxes has blunted many such plans. Mitt Romney favors less involvement by the federal government in infrastructure, preferring to let states lead the way. Romney shuns the idea that public-works spending is a good way to jumpstart the economy, saying decisions on worthy projects should be based on need and potential returns. Romney also wants to privatize Amtrak by ending federal subsidies for the money-losing passenger rail system. He’s OK with borrowing to pay for megaprojects if there’s a revenue stream to pay the money back, like tolls or port fees. The Denver Post has recruited bloggers to cover the debate. My sources tell me that there will be a link from the Post home page later today. Please come by while you’re watching the debate. I believe that the Twitter hashtag for tonight is #denverdebate. You can also check out the hashtag #zingerwatch.